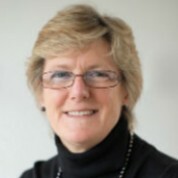 Dame Sally is the Chief Medical Officer for England and Chief Medical Advisor to the UK Government. She is an independent advisor to the UK Government on medical and public health matters. Dame Sally founded the National Institute for Health Research and is a Non-Executive Director of Genomics England Ltd. She was a member of the WHO Executive Board and the Strategic and Technical Advisory Group on AMR. Most recently, she has been appointed a co-convener of the UN Inter-Agency Co-ordination Group on AMR, set up in response to the UNGA 2016 declaration. Dame Sally received her DBE in 2009, was elected Fellow of the Royal Society in 2014, and a member of the National Academy of Medicine, USA in 2015.